My girlfriend Araceli and I watched two great BBC documentaries recently that I can highly recommend. 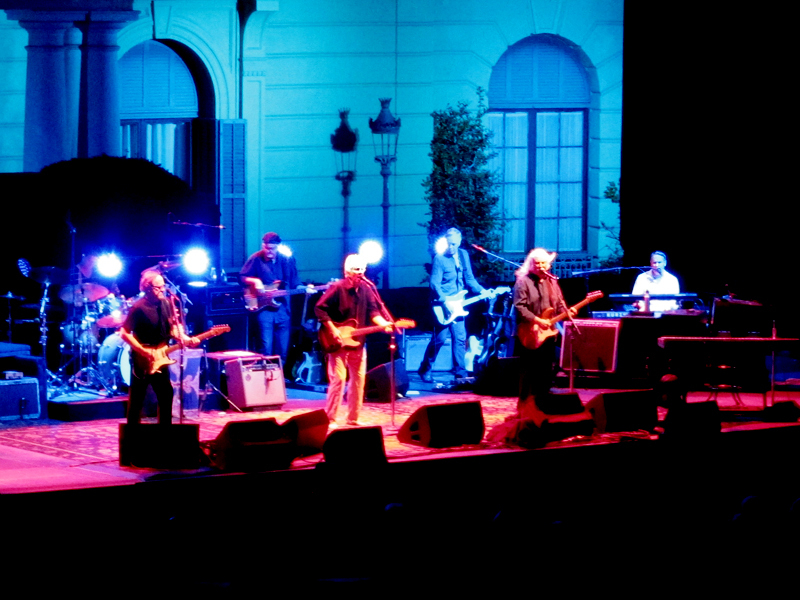 Sweet Home Alabama: The Southern Rock Saga and Hotel California: LA from The Byrds to The Eagles. I really love my Swedish made Levin LT-16 from 1966, it’s without any doubt the most comfortable acoustic I have ever played. I tend to keep an eye out for another Levin guitars on eBay but they always go for stupid amounts of money, around £400-1000 depending on the model. 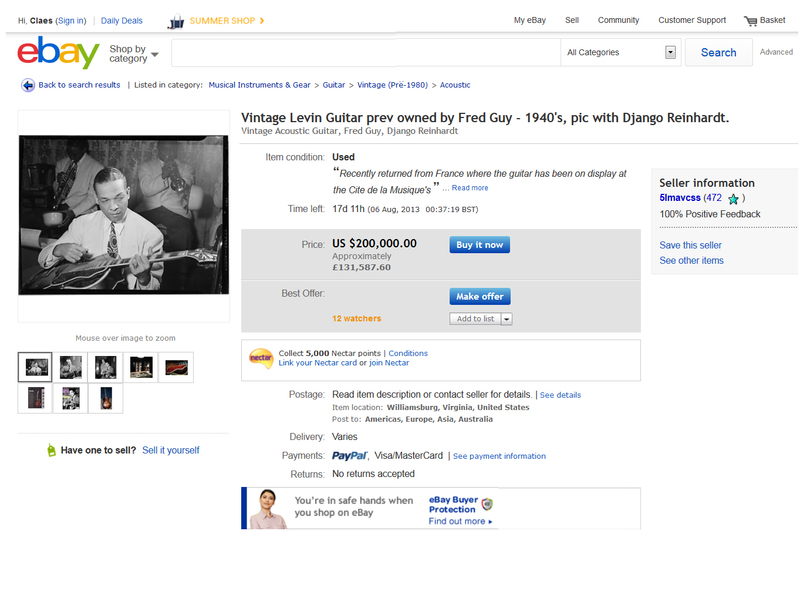 Yesterday I came across one of the more famous Levin guitars, Fred Guy of the Duke Ellington band’s 1938 Levin De Luxe which is up for sale on eBay for $200,000. Here is the story how he originally got it. 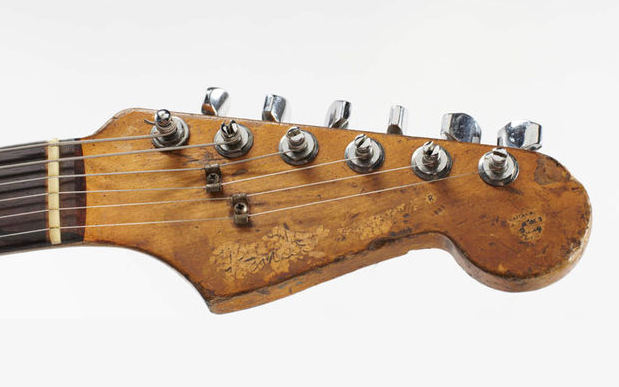 Taken from Vintage Guitars Stockholm, they have more photos as well. 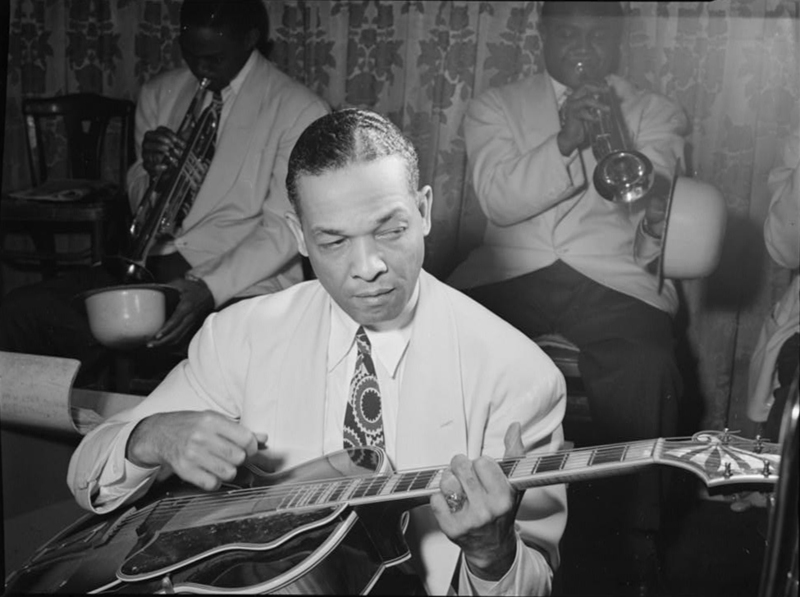 While visiting Göteborg during a tour of Sweden in April, 1939, Fred Guy, guitarist in the Duke Ellington Orchestra purchased a Levin De Luxe at Waidele. 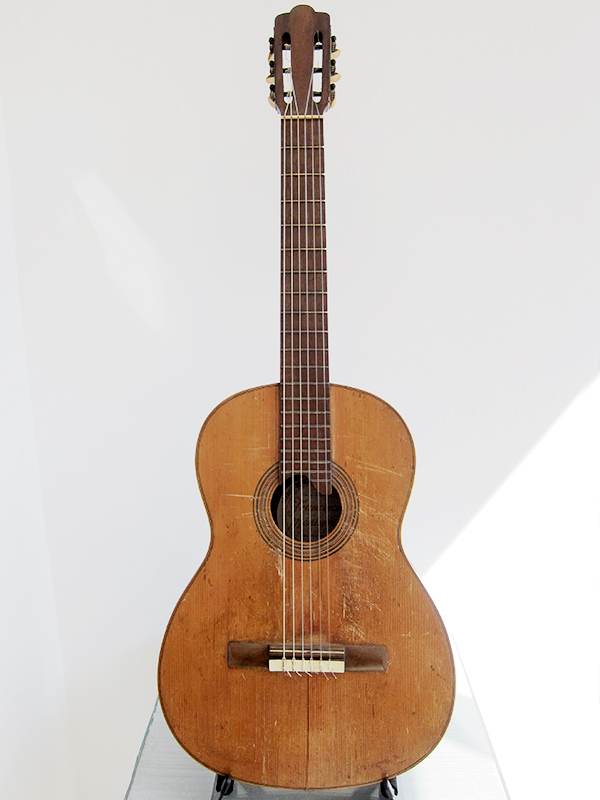 This is the guitar that Django Reinhardt is playing in the famous William Gottlieb photos. 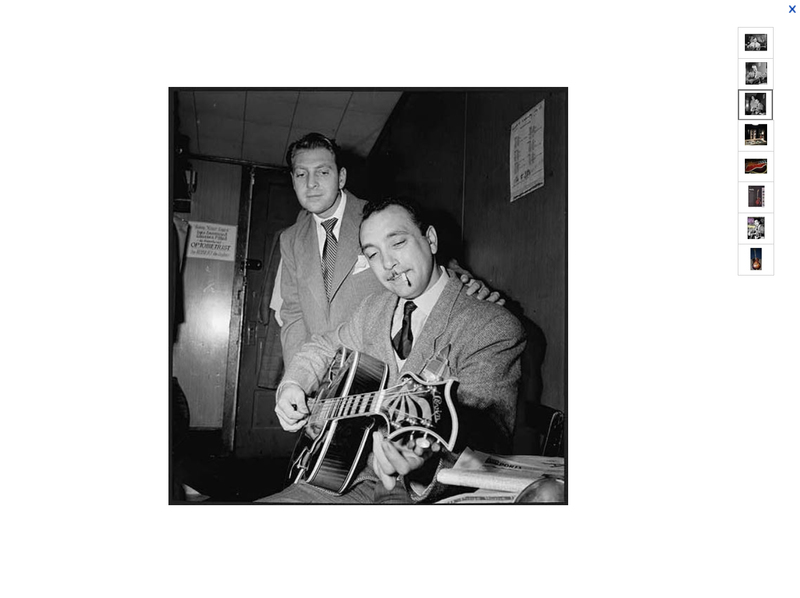 They were taken backstage at the Aquarium in New York City when Django was on tour with the Duke Ellington Orchestra in 1946. Here is the background info from the eBay listing. Recently returned from France – as it was being shown in a Django Reinhardt Exhibition for 3 months (see picture above). 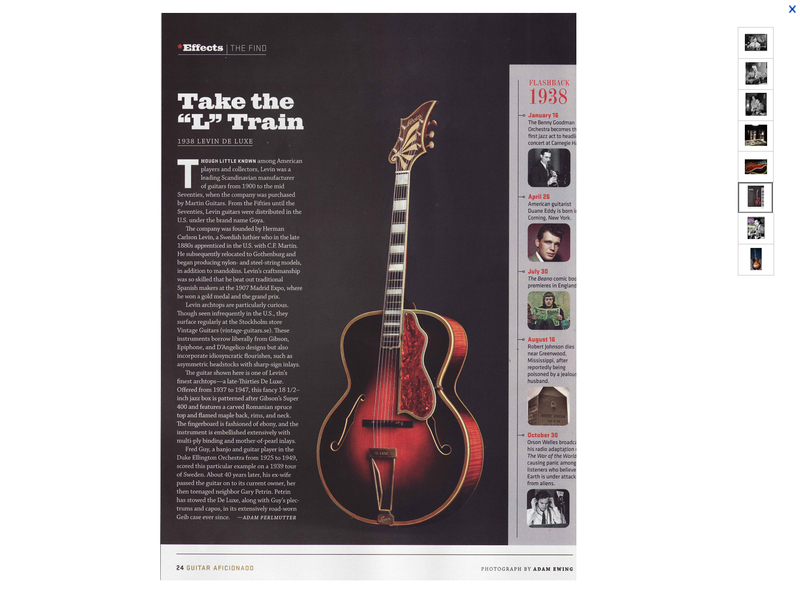 Also seen in the 2011 issue of the July / Aug / Sept edition of Guitar Aficionado magazine (Find section). This is the Levin Guitar previously owned by Fred Guy of the Duke Ellington band – during the 1940’s era. 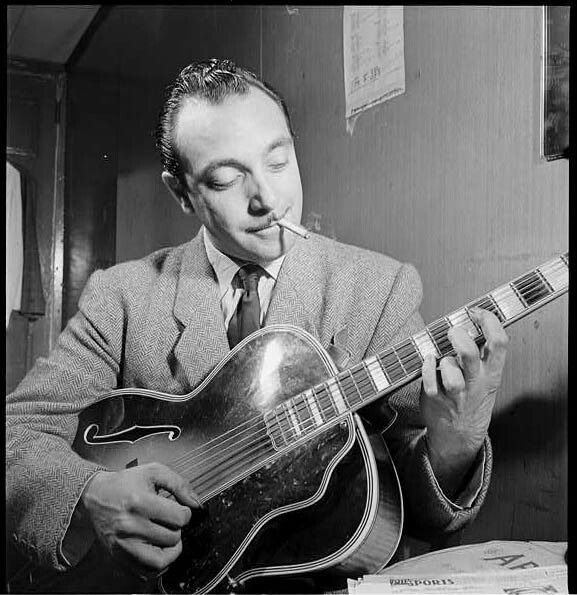 This is also the same guitar that Django Reinhardt is holding in the picture above when he was in New York City, backstage with the Duke Ellington Orchestra in 1946, and on the cover of Acoustic Guitar Magazine, Feb 1996 edition. The guitar was given to me by Fred Guy’s ex-wife Dorothy Guy Lynch about 30 years ago. 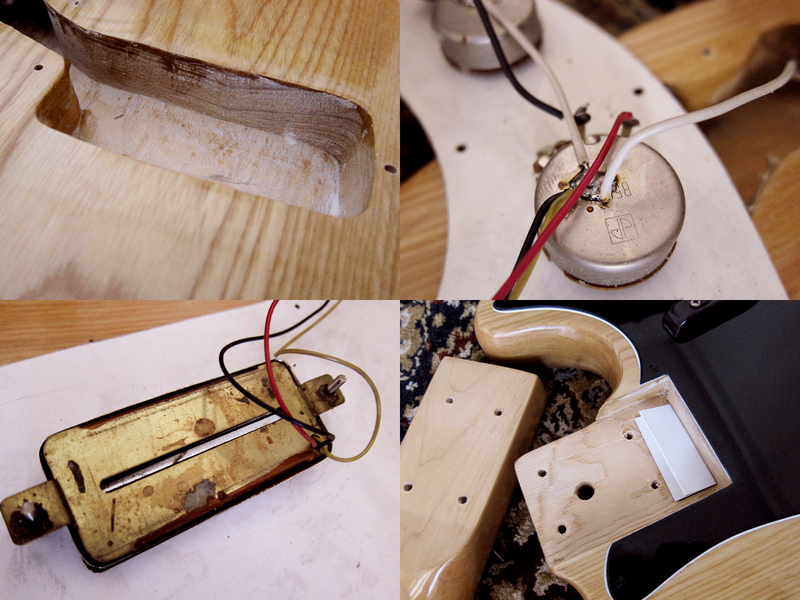 The Levin guitar is in its original case, and the guitar itself has some small cracks in it. 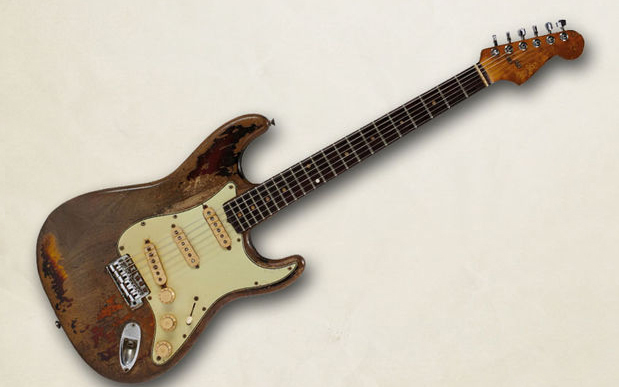 If you love Jazz, and want to own a piece of jazz history, this is a rare opportunity for the serious guitar collector. This is the real deal. Serious inquiries only… If you want to view the guitar, I will be glad to set up a time to do so (the guitar is being stored off premises in a secured site so arrangements will need to be made in advance). I have relisted this guitar over and over because I received many responses that provided me with additional information about the guitar, and a trip to France to show it at the Cite de la Musique for their Django Reinhardt Exhibition this past year (see picture above). So I am thankful for the opportunities! 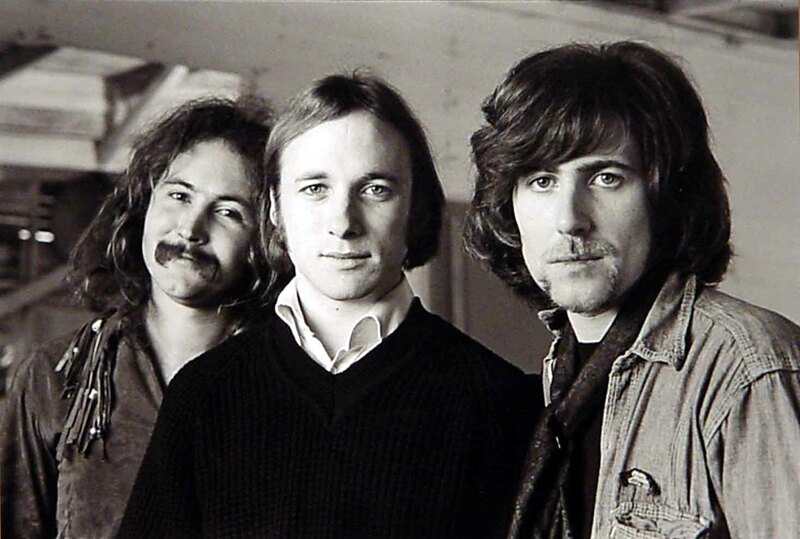 You can check out the article in the 2011 edition of Guitar Aficionado magazine. 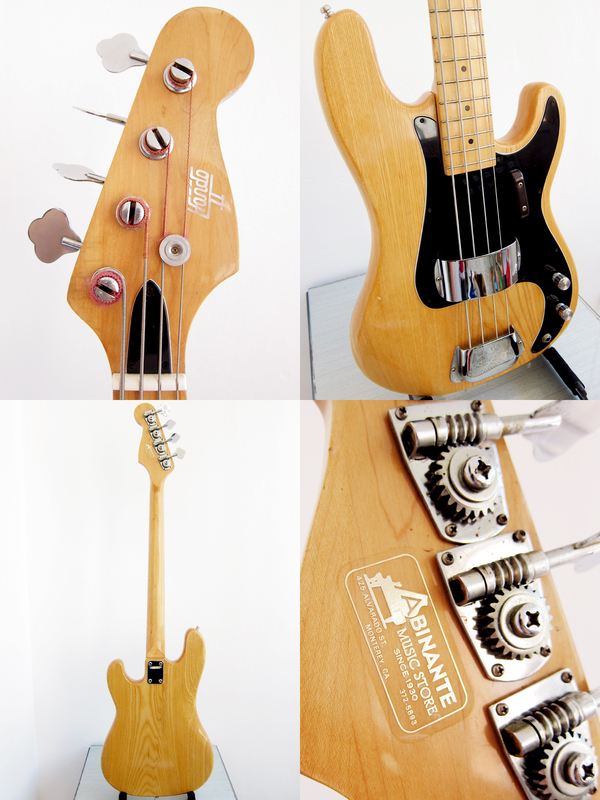 My friend Dani bought himself a Hondo II P-bass copy the other week, well I had to buy it for him since he doesn’t have a eBay account. I took it home and spent my Sunday morning with her, it wasn’t much work needed. The electronics are pretty old but it works and sounded pretty cool so I think we should keep it as it is for now. However, the actions was extremely high so I had to first adjust the trussrod a bit and then put in a shim in the neck pocket to get the angle of the neck right. 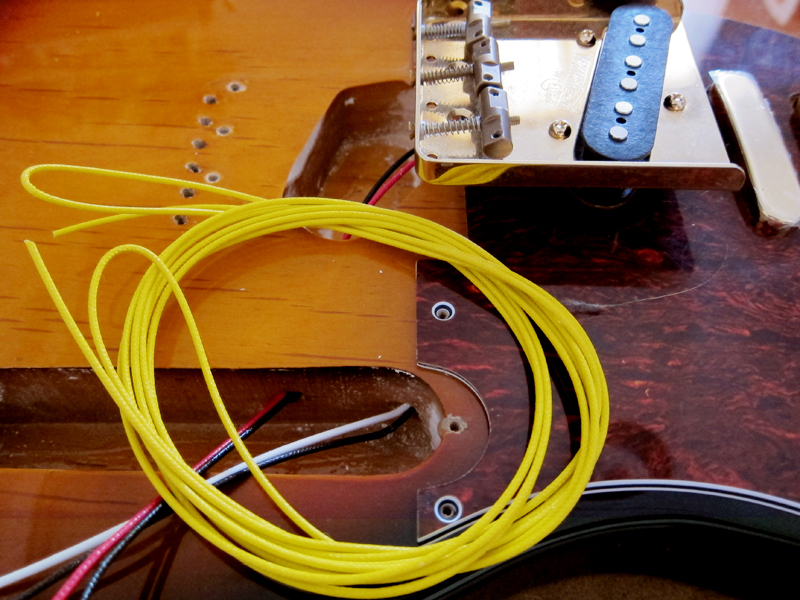 Now it’s as low as it can go without any buzzing and it feels really nice to play. This bass is now for sale. I love the wood grain, really beautiful. 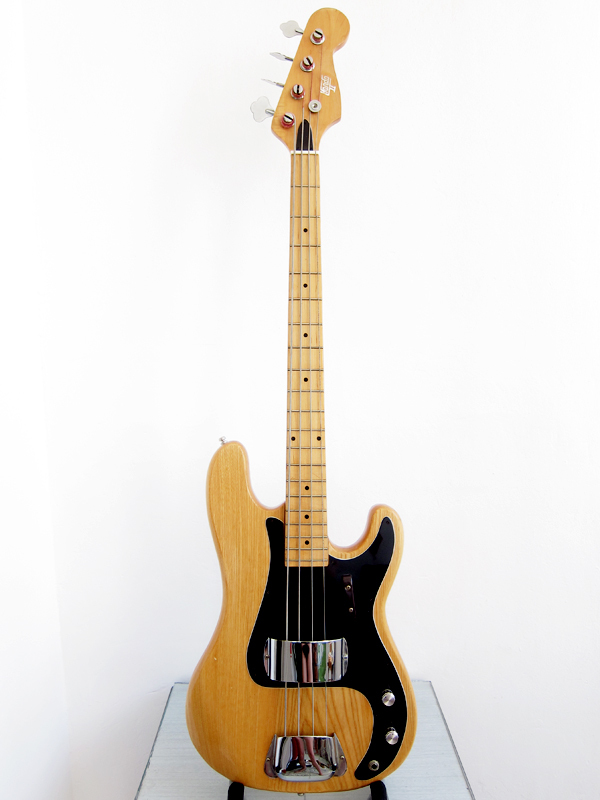 We bought the bass from a UK seller but it seems to have been sold in Canada originally. Pretty descent wood, good weight and really solid. 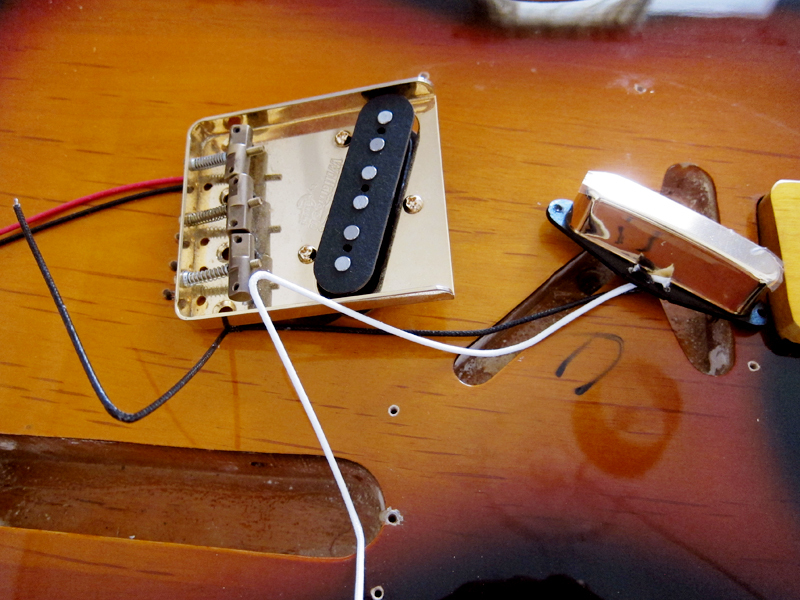 I’m not really sure what type of pickup that is but it works and sounds good. I folded a business card and used as a shim to get the neck right and to lower the action. I couldn’t find any markings anywhere so we are still not 100% that it is made in Japan, it could be Korean made. Anyway, it feels really nice and seems to be pretty good quality so it doesn’t really matter. We were up in Vitoria last weekend for the Azkena rock festival, I had to see The Black Crowes, and I managed to find this little beauty in a Cash converter. It’s a Fernandes The Revival RST-50 ’57 Stratocaster made in Japan probably in 1988. 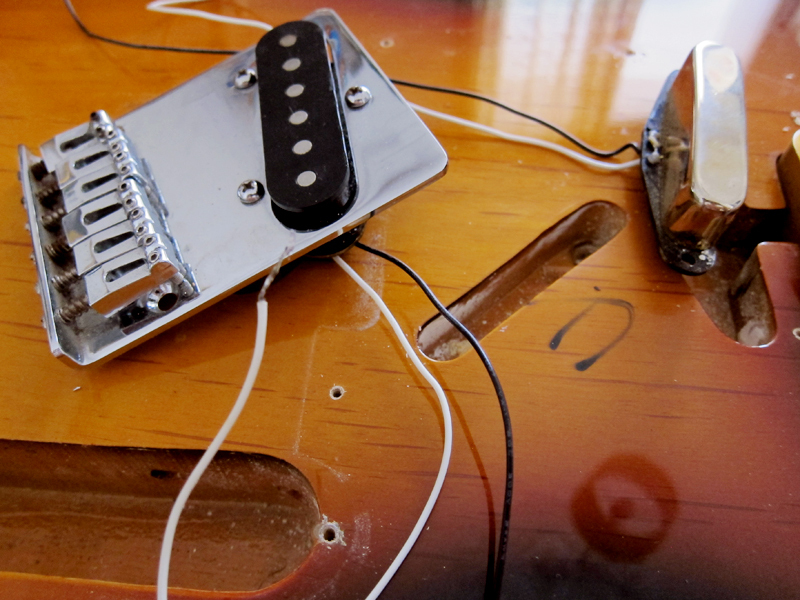 It’s a bit of detective work left to do, I’m still not sure if these were made in the FujiGen or the Tokai factory. 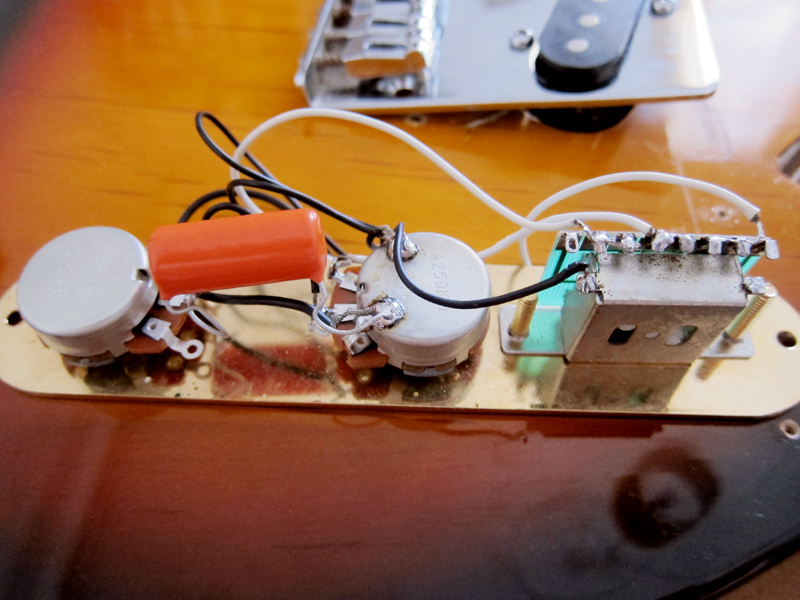 It’s most likely made in 1988, well if you can trust Guitar world crazy in Japan, but he seems to know his stuff. The number on the back plate has nothing to do with the year but the first digit of the number stamped on the neck seems to indicate the production year, at least during the 1980’s. Mine has #Y80801 and ’57 stamped and the heal so that should be a Fernades RST-50 ’57 Strat from 1988. 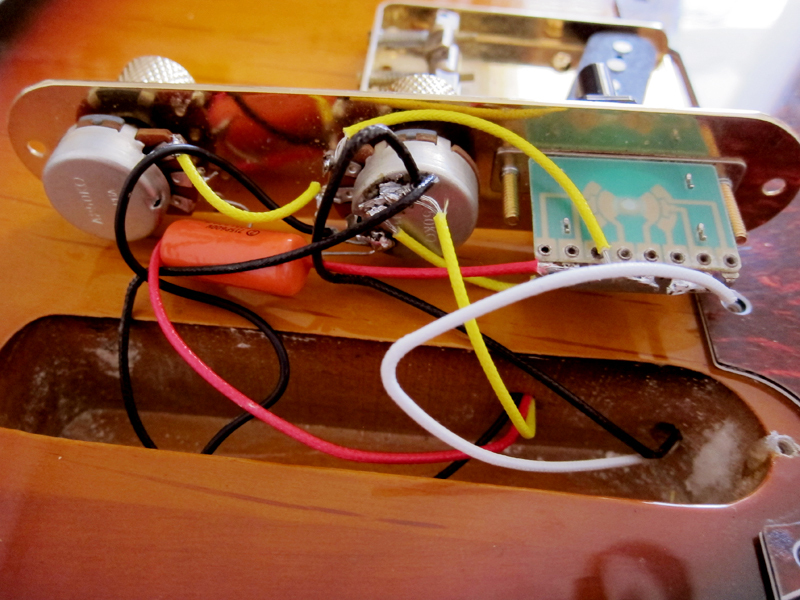 However, this guy on eBay claims that Fernandes changed from the proper Fender head to a sharpier head in 1986. He claims that mine should have been made between 1982-85 since it has “Electric Sound Research Group” under the Fernandes The Revival logo on the headstock. I think I’ll go with the Guitar world crazy guy, he seems to know a thing or two. We can be pretty sure that the material is the following, both Guitar world crazy and Music-Trade Japan says the same. 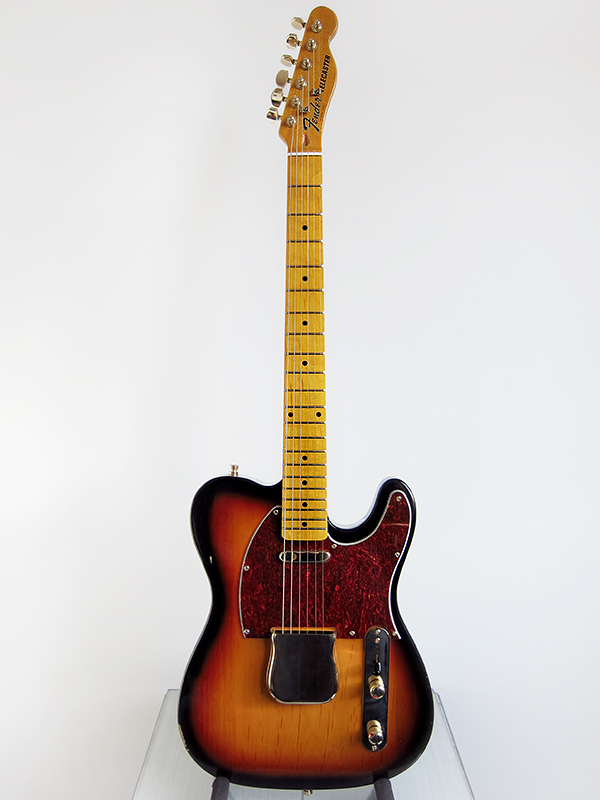 The RST-50 ’57 were made between 1981-90, came with Revival Logo, had a 3-piece alder body a Small head and a 1-piece maple neck, poly lacquer, L-5000 Vintage Arched PP Gray Bobbin pickups, separate Diecast & FSRG Press saddle. However, then it says that from 1984 the pickups changed to VS-2 and the saddle to non press marked which is weird since mine clearly has “Revival F.S.R.G” stamped on them. It has quite a lot of fret wear but since the neck felt so amazing I couldn’t resist. 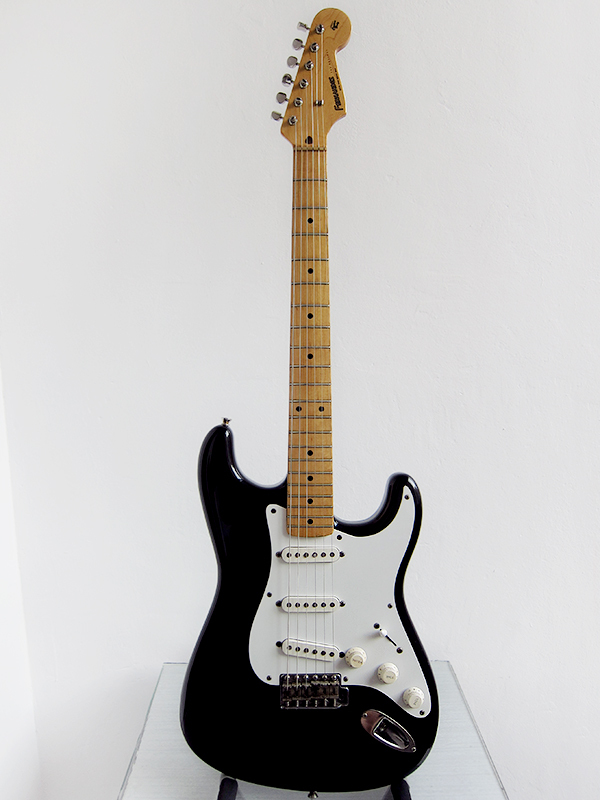 Now I finally have an awesome “Blackie” copy so you all can call me Claes Clapton from now on. Fernandes have found a new dad. She got adopted this Saturday by a lovely sound engineer, that happened to live two streets away from me, so she could be the jewel in his growing collection of Japanese guitars. I wish the best to both of you.